Netball, as a sport, originated in England. In its infancy it was known as ‘women’s basketball’, because it was though that women didn’t have the physical attributes to play normal basketball. Of course, this has changed over the years, but netball itself has remained a predominantly female sport. Although it began in England, netball quickly spread throughout the British empire, with countries like Australia, New Zealand, and Jamaica quickly becoming world powerhouses. Since most, if not all of the world’s best netball teams are Commonwealth nations, the Commonwealth Games is one of the world’s premier netball competitions – along with the world cup of course. In the past, Commonwealth Games netball competitions have been dominated by Australia and New Zealand. However, there is no reason why this has to continue. The 2018n Gold Coast Commonwealth Games has been tipped to be one of the closest and most competitive netball competitions in recent history, with no one really knowing which country will take home the gold medal. 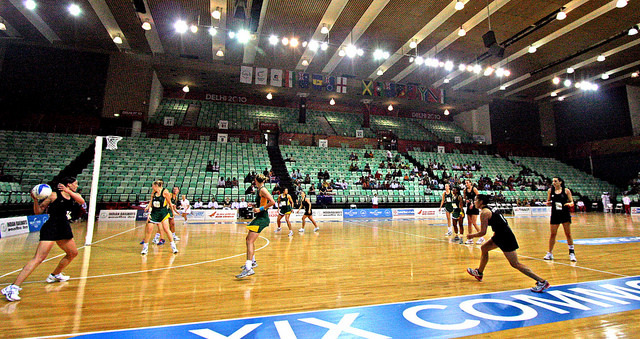 Netball has been played at the Commonwealth Games since the 1998 Kuala Lumpur Games, a total of five times. Since then, only Australia and New Zealand have won a gold or a silver medal – will 2018 be the year that another country takes the mantle as the world’s best team? Australia, with three gold medals (1998, 2002, and 2014) and two silver (2006 and 2010). New Zealand, with two gold medals (2006 and 2010, and three gold (1998, 2002, and 2014). Jamaica, with two bronze medals (2002 and 2014). Although no other country has won a medal, there is no reason why they can’t this year. The pressure is on Australia, as the defending champions, to keep their mantle. Who Is Playing In The 2018 Games? Jamaica, Australia, Barbados, South Africa, Fiji, Northern Ireland. England, New Zealand, Uganda, Malawi, Wales, Scotland. Pool matches will take place in the first stages of the competition, with the top teams from each pool advancing the finals. When Is The Netball Competition At The 2018 Games? Netball at the 2018 Gold Coast Games will take place from the 5th to the 15th of April. Pool matches will be played every day from the 5th until the 11th. Classification matches will take place on the 12th, semi finals are on the 14th, and the gold and bronze medal matches will be played on the 15th. For the full 2018 Commonwealth Games netball schedule, head to the official Commonwealth Games website here. Where Is Netball Played At The 2018 Games? Netball at the 2018 Games will be played in two seperate venues. All preliminary games will be played at the Gold Coast Convention and Exhibition Center, which has a seating capacity of up to 5000 people. All finals matches will be played at the larger Coomera Sport and Leisure Center, which can seat a larger crowd of up to 7500 people. As a popular spectator sport, it is expected that most matches between larger nations will be sold out, so it is essential to get your tickets early if you would like to attend. If you would like to buy tickets to the netball at the 2018 Games, you can make your purchase through either a third party ticket retailer or on the official Games website. Prices for children start from just $15, with adult tickets selling for just $30. If you do decide to buy tickets from a third party seller you need to be careful. Make sure that you are buying legitimate tickets, and that you aren’t paying more than they are worth. Unless the matches are already sold out, there is no reason for you to pay more than the adult ticket price of just $30. Is It Worth Watching The Netball At The 2018 Gold Coast Games? Australia vs Fiji on the 9th of April. Australia vs South Africa on the 8th of April. New Zealand vs Scotland on the 9th of April. England vs Wales, also on the 9th of April. For the full 2018 Gold Coast Commonwealth Games netball fixture, head to the official Games website. As the defending champions and the host nation, Australia are the hot favourites to take home their fourth Commonwealth Games netball gold medal. However, they will face stiff competition from New Zealand, England, and Jamaica. Australia are also the defending World Champions. Two teams from each pool will go through to the finals, with the first placed team from pool A playing the second placed team from pool B, and the first placed team from pool B playing the second placed team from pool A for a place in the gold medal match. The losers of these games will face off for the bronze medal match. We are tipping an Australia vs New Zealand gold medal match, with Australia taking home the gold. In the bronze medal match, the most likely result is Jamaica vs England, with Jamaica winning the third place medal. For full results head to the netball results page. If you like fast-paced, highly competitive sport, then don’t miss the netball at the 2018 Commonwealth Games. The competition is widely tipped to be one of the closest in living memory, and we should see a number of great matches. If you can’t watch the games at the stadium, be sure to tune into your TV for all the action. Good luck to your team and let the Games begin!